Joe’s Electric has been actively engaged in the electrical construction industry for over 29 years. During that time, Joe has been involved in a wide variety of residential, commercial, and industrial projects. Due to Joe’s demand for professionalism and quality, Joe’s Electric has grown from a one man operation to employing several experienced journeymen and women who utilize a fleet of fully equipped vehicles. You can trust our professionally trained team to provide excellent service and timely neat work at competitive rates. Joe’s Electric offers a complete electrical design service using the latest technology in computer design and estimating software. Our highly trained and qualified electricians contribute to the success in fulfilling all customer needs. We base our company on prompt, reliable, professional and quality service while ensuring that all our electrical work abides with all safety and electrical codes.We are certified Data/Communications installers. 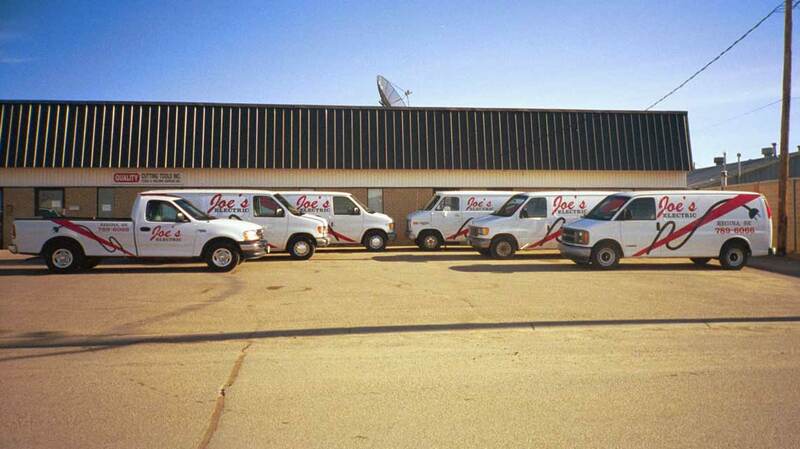 Joe’s Electric has been in business since 1986. We have built up a commercial cliental of companies and contractors over the years because of our commitment to service and quality of workmanship. The phrase “can’t be done” will never be part of our vocabulary. I would like an appointment/request an estimate.